There's nothing worse than not being able to sit in the garden in the sun when you've got allergies! I no longer get traditional hayfever thankfully but I do suffer from an irritable nose/throat and really annoying tickly cough, which are heightened by sitting out in this beautiful weather we are having. Therefore. 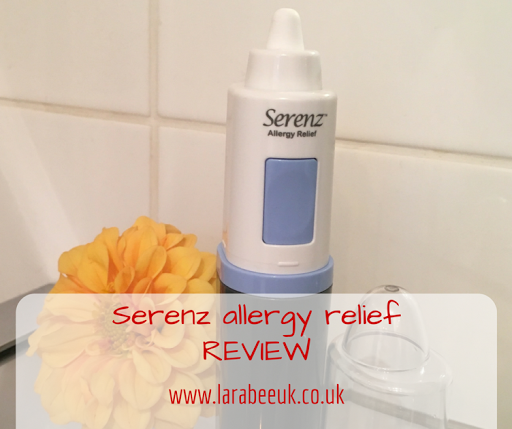 I was really interested to see if allergy relief Serenz would ease my symptoms when I was offered the opportunity to review. 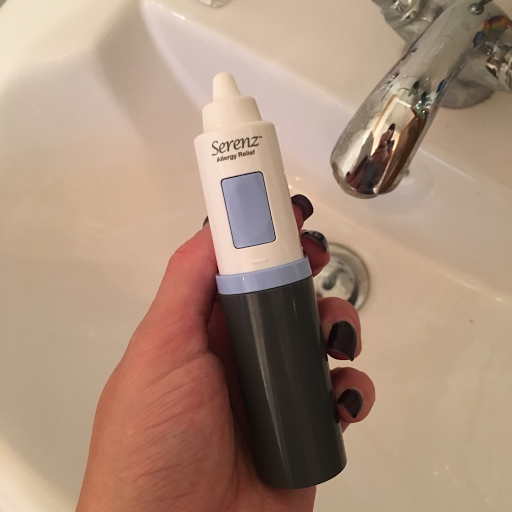 The product comes in an aerosol type nasal inhaler and has 60 doses, I've only needed to take one dose on each nostril each day, although you can take up to 6 times a day. The packaging is a little large, but still small enough to fit in your handbag for convenience. 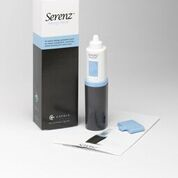 I find that when I use Serenz I do get a slight burning sensation which although can be slightly uncomfortable is perfectly normal and the benefits far outweigh the slight discomfort! Since using this product my tickly cough has all but gone and my irritable throat is very much reduced, I start to notice a difference within about 10 minutes which is fantastic for rapid relief. My allergy is quite low at the moment and I'm very interested to see how it improves my early spring allergy, when my symptoms are at the highest. Serenz retails at £17.90 and you can buy it here. If you suffer from allergies I can highly recommend this product to you, it seems pricey but for me it really has helped, I'd say it's certainly worth a try!